The article details multiple long and short swing trade ideas for traders to consider along with a review of recently triggered trades. 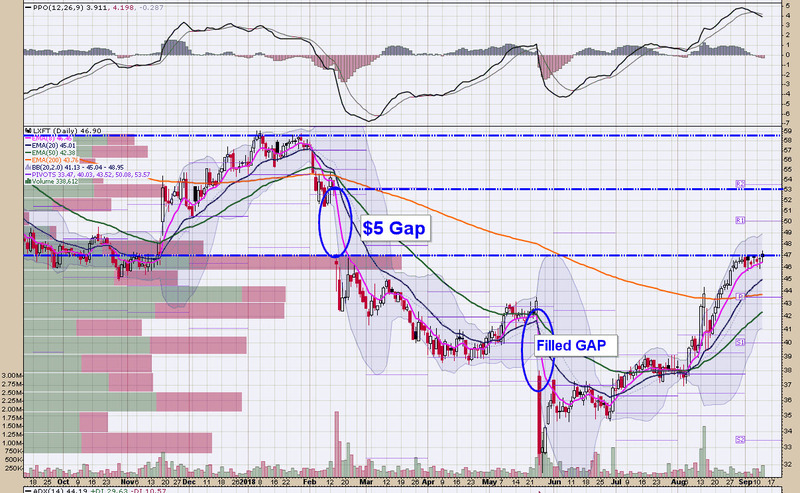 Review of Triggered Trades from Sept 12 Set ups. $PVTL – OMG! They pulled the rug! Pivotal Software reported earnings last night and it sold off hard. This morning it will open down around $21-$22 after closing last night near $30. Nimble traders can use the premarket range to set upside / downside stops if a directional bias presents itself on the open. Swing traders with a longer term perspective could let today play out before deciding if taking a position either long or short looks attractive. Stops could be set based on the closing range. Broke out to new highs yesterday. 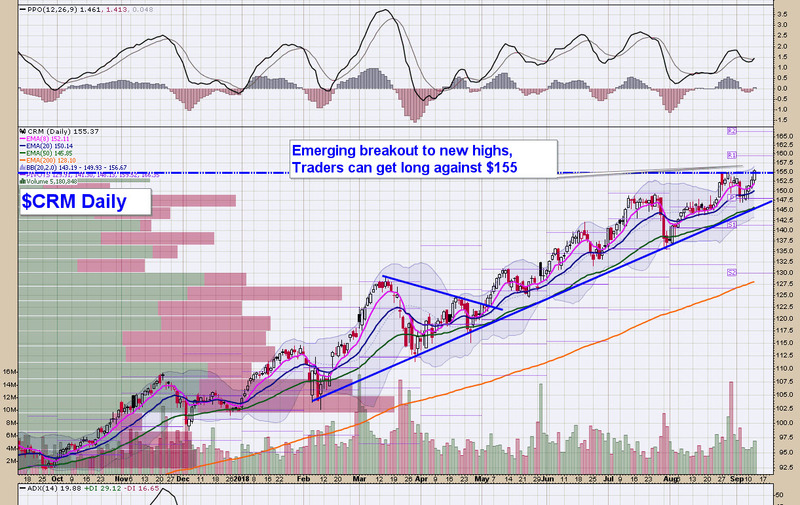 There is still an opportunity to get long against $58 breakout level. 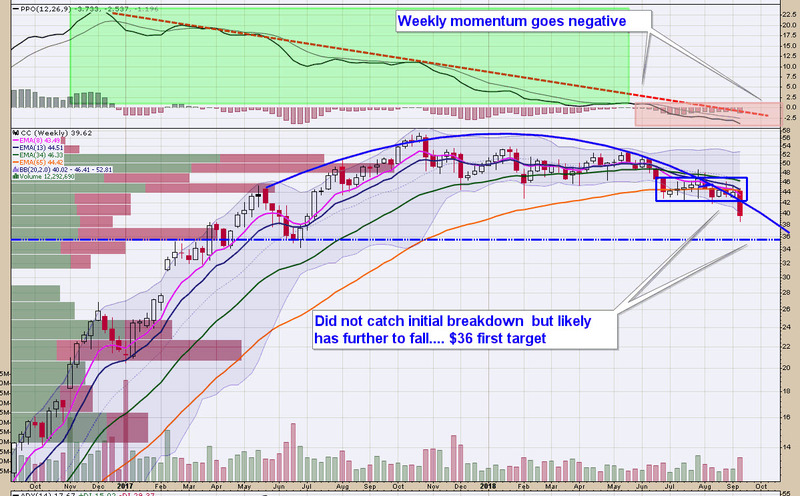 Stock breaking down this week from the recent trading range. Obviously we did not catch the initial breakdown but given the long term look of the chart, to my eye this looks destined to test support at $36. 10% lower from here. Aggressive traders could take a shot here. Conservative traders can add it to their watch list. 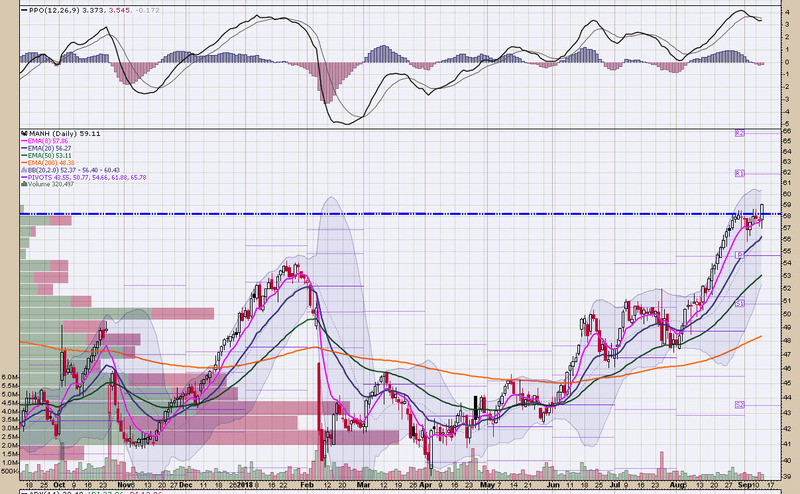 I’d definitely consider taking a downside shot if the stock rallies back to re-test that initial breakdown level. Either way, I think this heads lower over time. Hope these ideas help. 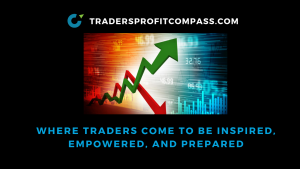 Head into the trading day empowered and prepared.